Dane Leon Bowers (born 28 November 1979) is an English singer, songwriter, DJ and record producer. He was a part of R&B boyband Another Level between 1997 and 2000 when he performed on seven Top 10 singles, before taking up solo projects with True Steppers and Victoria Beckham. He has made TV appearances on Celebrity Big Brother 7  and the celebrity version of Come Dine With Me . and is now part of the pop supergroup 5th Story, set up for The Big Reunion . The London Borough of Sutton is a London borough in South London, England and forms part of Outer London. 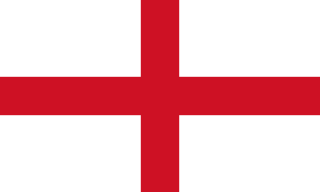 It covers an area of 43 km2 (17 sq mi) and is the 80th largest local authority in England by population. It is one of the southernmost boroughs of London. It is south of the London Borough of Merton, west of the London Borough of Croydon and east of the Royal Borough of Kingston Upon Thames. The local authority is Sutton London Borough Council. Its principal town is the eponymous Sutton. After leaving the BRIT School, Bowers joined British boy-band Another Level, where he performed as a part of the group for three years, between 1997 and 2000, with fellow members Mark Baron, Wayne Williams and Bobak Kianoush. 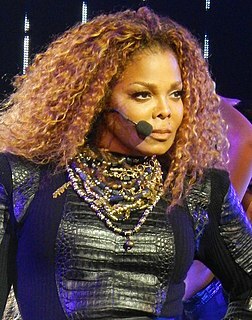 Another Level gained seven Top 10 singles in two years in the United Kingdom, including 1998's UK No. 1 "Freak Me"; and a platinum-selling self-titled debut album. Their follow-up album, Nexus , released in 1999, achieved gold-selling status, and was followed by a Brit Award nomination for Best British Newcomer  in 1999. True Steppers were an English UK garage production duo, consisting of Jonny Lisners and Andy Lysandrou. "Buggin" is a song by UK garage duo True Steppers, released in 2000 and featuring singer Dane Bowers of Another Level. A Top 10 hit, the song reached #6 on the UK Singles Chart. In 2001, two solo singles released under the moniker of 'Dane', "Shut Up... and Forget About It" (allegedly written about his relationship with Jordan)  and "Another Lover", both reached No. 9 on the UK Singles Chart,  and an album, Facing the Crowd remained unreleased. Bowers subsequently went on to focus on behind the scenes work, writing and producing, including a collaboration for Victoria Beckham's debut solo album in autumn that year. On 27 August 2013, Another Level were on the verge of signing up for the ITV2 documentary The Big Reunion ,  but Williams announced that he would not take part. In an interview with MTV UK, he said: "I decided not to participate in The Big Reunion because it wouldn't feel right to me...I'm in a totally different space in my life and I don't feel any need to look back." Also, Baron, who now works for Alan Sugar's company Amsprop, had been forced to pull out due to Sugar not allowing him time off work. Bowers told the Daily Star , "Another Level were supposed to do it but then Mark said he couldn't because of work. He's married to Alan Sugar's daughter and works for him. You don't say no to Alan Sugar. So Alan Sugar stopped Another Level taking part in The Big Reunion. I was a bit annoyed because he pulled out right at the end. Surely he would have known earlier. But his loss is my gain." Bowers instead joined The Big Reunion supergroup 5th Story, along with Kenzie from Blazin' Squad and former soloists Adam Rickitt, Kavana and Gareth Gates. 11 July 2010 "All She Needs"
"Shut Up... and Forget About It"
Facing the Crowd is the unreleased debut album under the moniker of 'Dane'. The album was due for release in 2001, but remains commercially unreleased after he was subsequently dropped by his record label. A small number of physical copies pressed for distribution to media and radio stations were made available before the album's release was cancelled. The album spawned two UK Singles Chart top ten singles, "Shut Up... and Forget About It" and "Another Lover". After Another Level split in 2000,  Bowers wrote and fronted two UK Singles Chart top ten singles for the UK garage act True Steppers in 2000, where he was billed as "Dane Bowers from Another Level". "Buggin" entered the charts at No. 6 in April 2000, and "Out of Your Mind", featuring the first solo recording of Spice Girl, Victoria Beckham, which reached No. 2, as it was beaten to the number one spot by "Groovejet (If This Ain't Love)" in August 2000 by Spiller featuring Sophie Ellis-Bextor. His subsequent chart success lead to a solo record deal, and in February 2001, Bowers released "Shut Up... and Forget About It", a song allegedly written about his relationship with Katie Price. The song peaked at No. 9 on the UK Singles Chart. Jerry 'Wonder' Duplessis and Wyclef Jean-produced "Another Lover" was released as the album's second single in June 2001, but this again stalled at number nine. Bowers was subsequently dropped from his label, and Facing the Crowd remained unreleased. Bowers subsequently went on to focus on behind the scenes work, writing and producing, including a collaboration for Victoria Beckham's debut solo album in autumn that year. Given free with Smash Hits magazine in 2001 in conjunction with Little Chef. Contains "Shut Up and Forget About It" (original version and El B Vocal Mix). Victoria Caroline Beckham is an English businesswoman, fashion designer and former singer. In the late 1990s, Beckham rose to fame with the all-female pop group Spice Girls, and was dubbed Posh Spice by the July 1996 issue of the British music magazine Top of the Pops. After the Spice Girls split, she was signed to Virgin Records and Telstar Records and had four UK Top 10 singles. Her first release, "Out of Your Mind", reached number 2 in the UK Singles Chart. Geraldine Estelle Horner is an English singer, songwriter, author, actress, fashion designer, model, and television personality. Ian George Brown is an English singer and multi-instrumentalist. He was the lead singer of the alternative rock band the Stone Roses from their formation in 1984. Following the split in 1996, he began a solo career, releasing seven studio albums, a greatest hits compilation, a remix album an 11 disc box set titled Collection and 19 singles. He has performed solo shows in 45 countries. He returned to singing for the Stone Roses in 2011, although this did not spell the end of his solo endeavours, on October 25th 2018 releasing First World Problems through Virgin/EMI records. He had a cameo appearance in Harry Potter and the Prisoner of Azkaban. Eternal were a British R&B girl group formed in 1992 with the line-up consisting of Easther Bennett and her older sister Vernie Bennett, with Kéllé Bryan and her friend and classmate Louise Redknapp who were also recruited into the group by the label. The group became an international success, selling around 10 million records worldwide. Louise Redknapp left the group after the release of their debut album to focus on her solo career with the same label. Kéllé Bryan left the group under undisclosed circumstances. Sisters Easther Bennett and Vernie Bennett were the only members left when they disbanded in 2000. Eternal made a brief comeback in 2013, with Kéllé Bryan returning to the group, only for the group to disband once again in 2014. They were considered the UK's answer to the American girl group En Vogue. Benjamin Edward Stephen Adams is an English singer and songwriter, best known as a member of the boy band a1. "Out of Your Mind" is a song by UK garage duo True Steppers. It features Dane Bowers and Victoria Beckham, in her first appearance as a solo artist. The single was released on 14 August 2000. Upper Street were a UK boy band formed in 2006 from the MTV-produced reality television series Totally Boyband. The members of the band were all ex-members of other groups. They were Dane Bowers of Another Level, Jimmy Constable of 911, Bradley McIntosh of S Club 7, and Danny Wood of New Kids on the Block. Lee Latchford-Evans of Steps was also originally in the line-up, but left due to conflict within the group. Their only single, "The One" was released in the United Kingdom on 23 October 2006 by Concept Records. The discography of Victoria Beckham, an English pop music singer, consists of one studio album, two cancelled albums, five singles, five music videos and one DVD. On 14 August 2000, Beckham released her first solo single, "Out of Your Mind" in collaboration with Dane Bowers and Truesteppers, which debuted at number 2 in the UK Singles Chart. Before the single's release, on 8 July 2000, Beckham made her public solo debut at London's Hyde Park at a concert to raise money for the Prince's Trust charity. She sang "Out of Your Mind" to a 100,000-strong audience. Beckham then signed a recording contract with the Spice Girls' label Virgin Records. Her next single as a solo artist, "Not Such an Innocent Girl", was released on 17 September 2001. Again, she faced competition in another hugely hyped chart battle, this time with Kylie Minogue's single "Can't Get You Out of My Head". Despite a huge promotional campaign, Beckham was outsold eight to one, and her single debuted at number 6. Beckham's eponymous debut album, which was released on 1 October 2001, reached number 10 in the UK Albums Chart. The album cost a reputed £5 million to produce and it sold a modest 100,000 copies. The second and final single to be released from the album was "A Mind of Its Own" on 11 February 2002. The single reached number 6 in the UK and sold 56,500 copies. A third single, "I Wish", was promoted but never materialised. "Shut Up... and Forget About It" is the debut solo single by English singer and songwriter Dane Bowers, released as the lead single from his debut album, Facing the Crowd (2001). A Top 10 hit, the song peaked at #9 on the UK Singles Chart in early March 2001. The song was produced by the American production duo The Underdogs. 1 2 "Dane Bowers - Full Official Chart History". Official Charts Company. Official Charts Company. Retrieved 20 January 2016. 1 2 Alex Reid crowned winner... but will Celebrity Big Brother return to screens?. Dailymail.co.uk (2010-01-30). Retrieved on 2012-04-11. 1 2 Celebrity Come Dine With Me Channel4, Retrieved on 2012-04-11. ↑ Entertainment. Robbie Williams tops Brit nominations. BBC News (1999-01-12). Retrieved on 2012-04-11. ↑ Artist Direct, Another Level. Artistdirect.com. Retrieved on 2012-04-11. ↑ Another Level split. BBC News (2000-06-27). Retrieved on 2012-04-11. ↑ "Official Singles Chart Top 100 - Full Official Chart History". Official Charts Company. Official Charts Company. Retrieved 20 January 2016. ↑ Dane Bowers : Shut Up (And Forget About It). Nme.com (2001-02-09). Retrieved on 2012-04-11. ↑ "Dane - Full Official Chart History". Official Charts Company. Official Charts Company. Retrieved 20 January 2016. ↑ Jordan&Alex want me to DJ at their wedding. Closer Magazine. Closeronline.co.uk (2010-06-08). Retrieved on 2012-04-11. ↑ "Another Level's Wayne Turns Down 'The Big Reunion'". MTV UK. 4 September 2013. Retrieved 6 September 2013. ↑ Ingham, James (26 January 2014). "Lord Alan Sugar an obstruction to The Big Reunion". Daily Star . Northern & Shell . Retrieved 1 February 2014. ↑ Pop Idol Hayley to be a host on Popstars 2. BBC News (2002-09-05). Retrieved on 2012-04-11. ↑ Totally Boyband! And the Members Are.... Mtv.co.uk (2006-08-01). Retrieved on 2012-04-11. ↑ Dane Bowers' menu. Channel4.com (2009-09-16). Retrieved on 2012-04-11. ↑ "Dane Bowers lines up for Cwmbran Celtic FC". South Wales Argus . 2 October 2012. 1 2 3 4 Roberts, David (2006). British Hit Singles & Albums (19th ed.). London: Guinness World Records Limited. p. 139. ISBN 1-904994-10-5. ↑ "Upper Street - Full Official Chart History". Official Charts Company. Official Charts Company. Retrieved 20 January 2016.